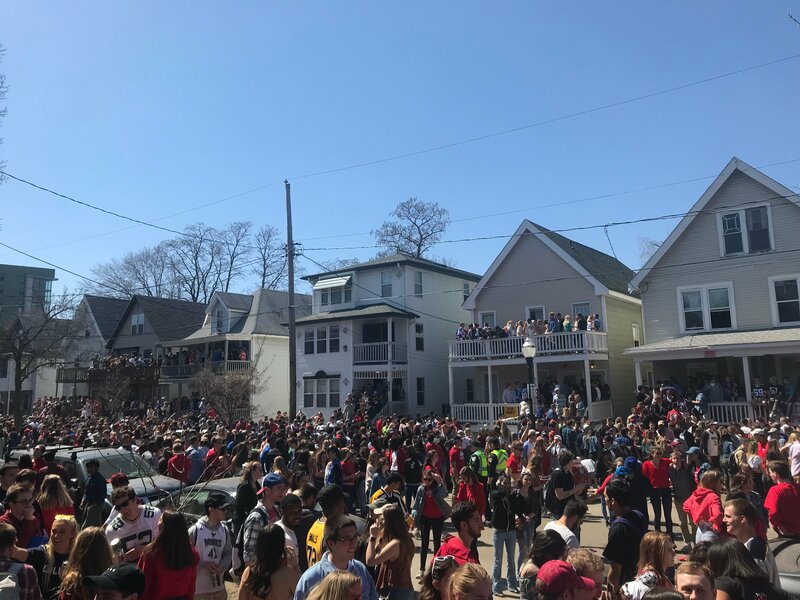 Warmer temperatures and a clear blue sky drew a larger crowd to the annual Mifflin Street Block Party this Saturday than in years past. 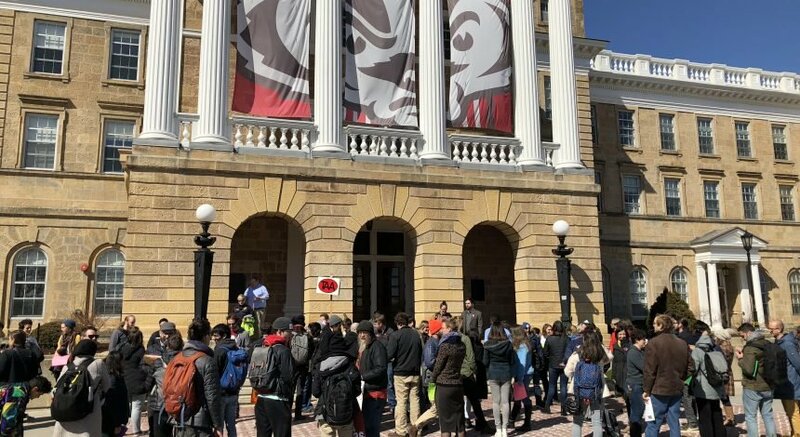 Between 15,000 and 18,000 people gathered in houses, on sidewalks and eventually spilled into the streets, according to a Madison Police Department incident report – more attendees than the last two years combined. The block party is an unsanctioned event, meaning no permits are obtained and no roads are closed, but as crowds swelled from large house parties, MPD decided to close down the roads of the 400 and 500 blocks of Mifflin for traffic as a safety precaution and let the partiers “take over” the street, MPD spokesperson Joel DeSpain said. 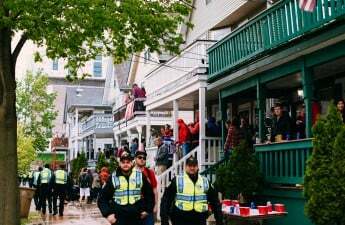 The day of partying resulted in the arrests of 60 people, with one going to jail. Most violations were for drinking in the street, carrying glass containers in the roadway, or urinating in public, but one person suffered facial injuries in a felony level battery. 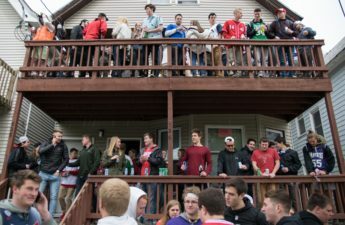 Partiers brought out their favorite jerseys – many of them of players from the Milwaukee Bucks – as temperatures hovered around 60 degrees all day without a cloud in sight, University of Wisconsin junior Nick Wollmer said. It was a far cry from last year’s rainy, cold and cloudy festivities where students huddled under tarps, he added. Junior Jenny Murphy said it was her first time attending Mifflin and was surprised at how orderly the partiers were throughout the day.